A thermocouple is constructed of two dissimilar metal wires joined at one end. When one end of each wire is connected to a measuring instrument, the thermocouple becomes a sensitive and highly accurate measuring device. Thermocouples may be constructed of several different combinations of materials. The performance of a thermocouple material is generally determined by using that material with platinum. The most important factor to be considered when selecting a pair of materials is the “thermoelectric difference” between the two materials. A significant difference between the two materials will result in better thermocouple performance. 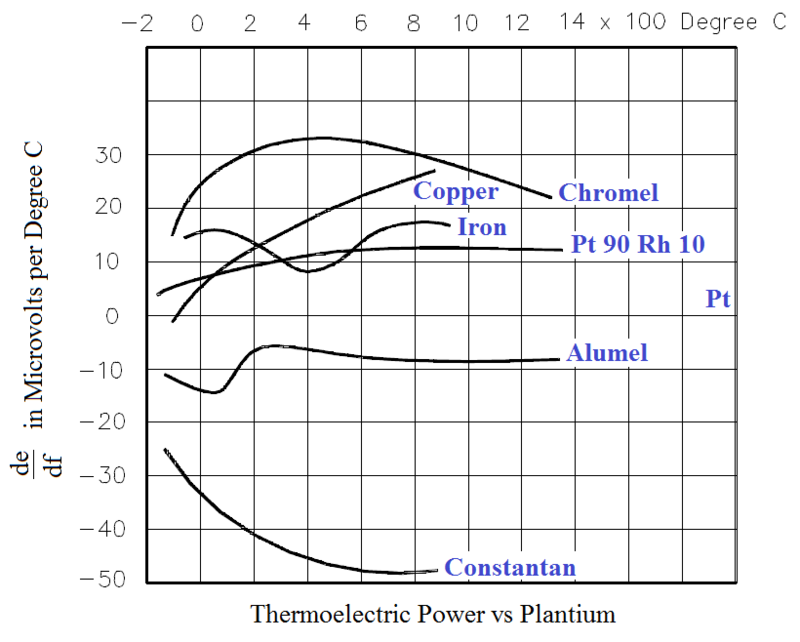 Figure 1 illustrates the characteristics of the more commonly used Thermocouple materials when used with platinum. Other materials may be used in addition to those shown in Figure 1. For example: Chromel- Constantan is excellent for temperatures up to 2000°F; Nickel/Nickel-Molybdenum sometimes replaces Chromel-Alumel; and Tungsten-Rhenium is used for temperatures up to 5000°F. Some combinations used for specialized applications are Chromel-White Gold, Molybdenum-Tungsten, Tungsten-Iridium, and Iridium/Iridium-Rhodium. 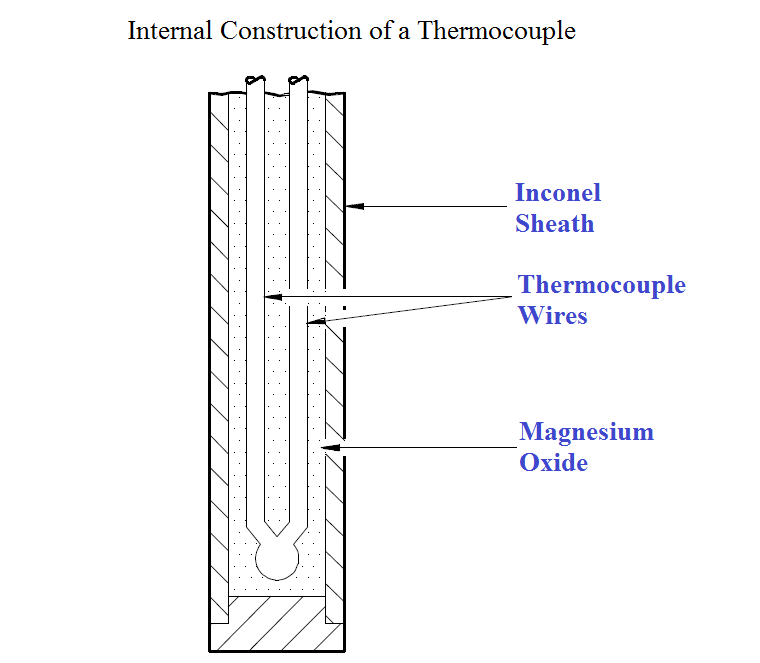 Figure 2 shows the Internal Construction of a Typical Thermocouple. The leads of the thermocouple are encased in a rigid metal sheath. The measuring junction is normally formed at the bottom of the thermocouple housing. Magnesium oxide surrounds the thermocouple wires to prevent vibration that could damage the fine wires and to enhance heat transfer between the measuring junction and the medium surrounding the thermocouple. Thermocouples will cause an electric current to flow in the attached circuit when subjected to changes in temperature. The amount of current that will be produced is dependent on the temperature difference between the measurement and reference junction; the characteristics of the two metals used; and the characteristics of the attached circuit. 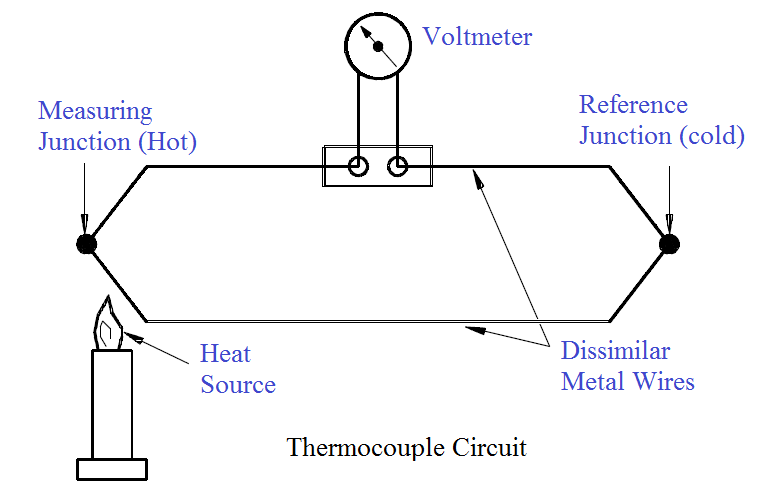 Figure 3 illustrates a simple thermocouple circuit. Heating the measuring junction of the thermocouple produces a voltage which is greater than the voltage across the reference junction. The difference between the two voltages is proportional to the difference in temperature and can be measured on the voltmeter (in millivolts). For ease of operator use, some voltmeters are set up to read out directly in temperature through use of electronic circuity. Other applications provide only the millivolt readout. 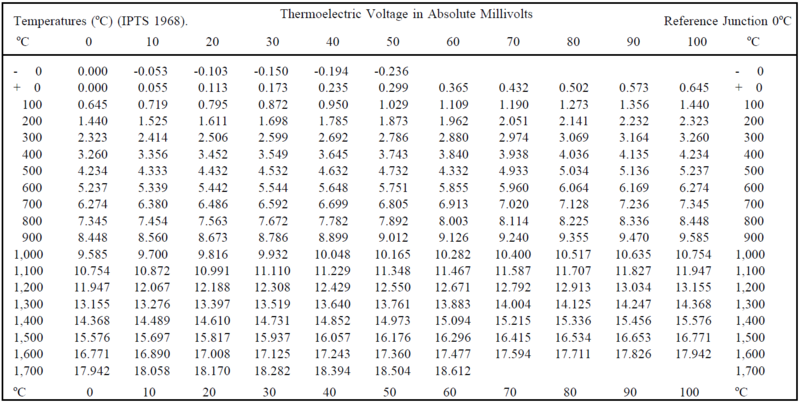 In order to convert the millivolt reading to its corresponding temperature, you must refer to tables like the one shown in Figure 4. These tables can be obtained from the thermocouple manufacturer, and they list the specific temperature corresponding to a series of millivolt readings. A thermocouple is constructed of two dissimilar wires joined at one end and encased in a metal sheath. The other end of each wire is connected to a meter or measuring circuit. Heating the measuring junction of the thermocouple produces a voltage that is greater than the voltage across the reference junction. The difference between the two voltages is proportional to the difference in temperature and can be measured on a voltmeter.